Could the Night King and the White Walkers Be Game of Thrones’s Most Misunderstood Heroes? Before we get into any of this, if you’re not fully caught up on HBO's Game of Thrones, we’re about to unleash a whole lot of spoilers. So if you haven’t finished watching all of the first seven seasons (what are you waiting for? ), bookmark this page and come back once you’re done. If there’s one thing HBO viewers have come to expect from the creators of Game of Thrones, it’s that they’re not afraid to kill off characters—even the most beloved ones. (Though it doesn’t always mean they’ll stay dead.) And if there’s one thing we’ve learned about fans of the epic series, based on George R.R. Martin’s equally epic books, it’s that they have a real talent for coming up with elaborate theories about where the show’s narrative might be heading, some of them plausible, some of them … not so plausible. 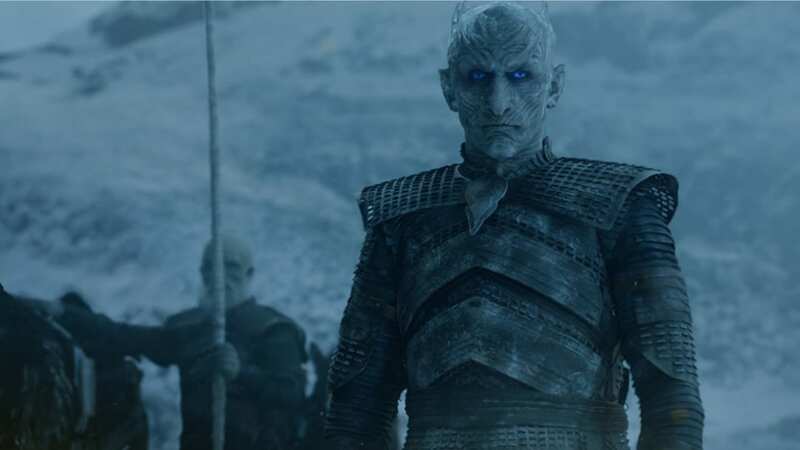 The most recent of these theories to catch our attention comes from Redditor MrSilenceT, which Esquire wrote about, and is particularly intriguing because it deals with some of the show's most fascinating characters, the Night King and his creepy band of White Walkers. To begin his argument, he quotes George R.R. Martin, who has repeatedly made it known that he’s not interested in clear black-and-white distinctions between heroes and villains, noting that, “If everybody thinks your character is a hero or if everybody thinks your character is a villain, then you are writing cardboards.” Which is certainly not a charge anyone could ever honestly lodge against Martin or the TV series' showrunners David Benioff and D.B. Weiss. “You’ve been told by the Children of the Forest, ancient tales and various manuscripts that the White Walkers are a weapon of mass destruction and are here to kill all of the living and you have seen with your own eyes the mass murder they afflicted upon the Wildlings at Hardhome. But has anyone in Westeros taken the time to thoroughly think through how they operate and clarify what their goal is? To answer those questions in the most expedient way, he puts forth this scene by way of an example, noting how, "A White Walker looks into the unharmful and fearful eyes of Sam and does not kill him but rather keeps on marching south. This shows that there is some degree of free will in the White Walkers (or in the Night King, since he is most likely controlling them) or at least, that they can refrain from killing anyone alive (probably as long as they do not express any harmful intent towards them)." He contrasts this with the behavior of the wights, who "attack anyone without hesitation. These are mere tools, animated and controlled by the power of the White Walkers and solely programmed to attack on sight. Wights have no conscience." "Here's what we know about the White Walkers: They were created to protect the Children of the Forest from the First Men, who were at war thousands of years ago. The Children of the Forest lost control of their creation and after the War for the Dawn built the Wall to keep the White Walkers from destroying all humanity. But we've never learned anything from the White Walkers' perspective. They were once men created with the purpose to kill evil men by the Children of the Forest. Bran has seen the Children create the Night King in a violent ritual where dragonglass is plunged into his chest." "How do you protect life when you know the only thing you can do is bring death and when you know that no one has the power to stop you from inflicting it? The answer is by killing. Killing and destroying is the only tool and form of free will at the disposal of the Night King in his current state of existence. Destroying the source of magic that keeps him bound to the curse: the main Heart tree at the Isles of Faces that is at the center of all Weirwood trees in Westeros ... and killing himself by killing Bran. This is why the army of the dead completely turns around and goes back North when the Night King marks Bran. Because killing Bran is the priority. This is why the White Walkers have been specifically trying to march south past the Wall and this is why they had been trying to communicate their intentions to whoever could see by forming symbols on the ground using the only pen they could, dead bodies ... Had they known, all Westerosi people had to do was let the Night King and the White Walkers pass through. As a result, who would be the villain in this scenario? Is it the Night King and the White Walkers that killed tens of thousands so they could stop themselves from endlessly killing life? Or is it Jon/Bran & co. [who] sent tens of thousands to their death instead of stepping aside like Sam did in his first encounter with a White Walker? One thing is for certain, knowledge would have been their true savior. Even with the most unlikely kind of people or thing, there may be common ground. In this case, both the Night King & Jon Snow were fighting for the same cause without realizing it: to protect the living." There's a lot more to MrSilenceT's theories, which you can read in full here. And if it turns out that we're all cheering for the Night King in the end, you know who saw it coming.